Wilbert W. "Whip" Hesterberg, died as a centenarian at his residence on January 17, 2019. He was born on June 24, 1918 near Maeystown, IL. The son of the late William and Ida (nee Trost) Hesterberg, he was raised on a farm near Maeystown. Mr. Hesterberg is survived by his children Shirley (Allen) Stafford, David (Lauren) Hesterberg, Dean (Charlotte) Hesterberg, and Lynne (Randy) Hicks; son-in-law Miguel Engbring; 17 grandchildren; 26 great-grandchildren; along with nieces; nephews; and cousin Imogene Yarbrough. He was preceded in death by his loving wife of 61 years, Florence (Hoffmann) Hesterberg; daughter Kathleen Engbring; granddaughter, Jamie Lynne Hesterberg; sisters Mildred Laub, Ardell Andres, and Ida Kuergeleis; and brothers Harold, Ralph, and Earl Hesterberg; along with brothers-in-law; sisters-in-law; and cousins. Wilbert was a veteran of the U.S. Army and a member of American Legion Post 901 in Valmeyer. He retired after more than 30 years as an employee of A&P Tea Co. in E. St. Louis followed by 15 years as an employee of the Monroe County Nursing Home. 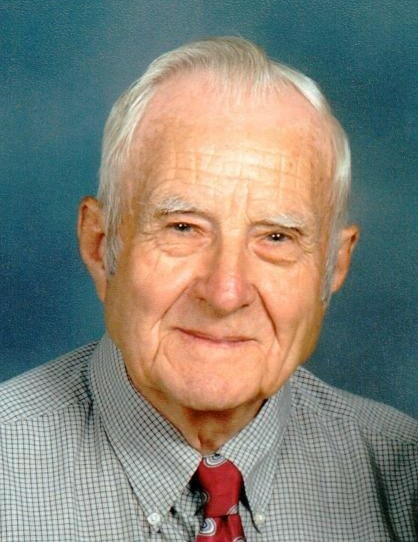 He was a lifelong member of the St. John United Church of Christ in Maeystown; and he was active throughout most of his life in Maeystown civic and club activities, including the Maeystown Civic Association, Maeystown Volunteer Firefighters, and Maeystown Sportsman's Club. Mr. Hesterberg enjoyed spending time with his family and friends, camping, and having people guess his age. The recent celebration of his 100th year of life with an open house at Acorns Golf Links was a particularly special day for him.